that despite recommendations by the American Academy of Pediatric Dentistry to see a dentist for the first time by age one, the majority of children in the U.S. do not have a first dental appointment until long after age two? Unfortunately, waiting has its consequences. As children get older, their risk for tooth decay increases – something that is more easily prevented with early oral care. The first dental appointment begins with questions about your child’s medical and oral health history. You will also be given an opportunity to discuss any questions you have as a parent or any symptoms your child may have been experiencing. 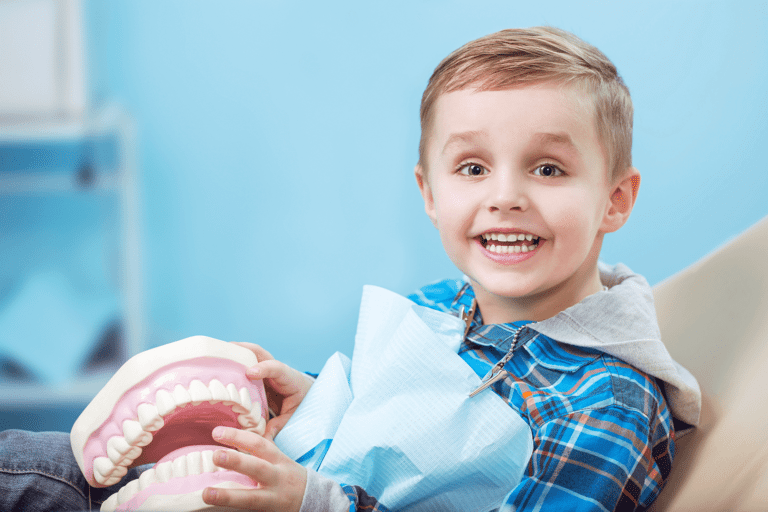 Depending on your child’s age, the dentist may visually examine the teeth and/or gums for signs of decay or other complications. Older kids may have their teeth cleaned and x-rayed for closer examination. Dentists often use the first dental appointment as an opportunity to speak with parents about brushing, flossing and the importance of fluoride. It is also the time when pediatric dentists speak with parents about teething, and beverages that contain sugar.